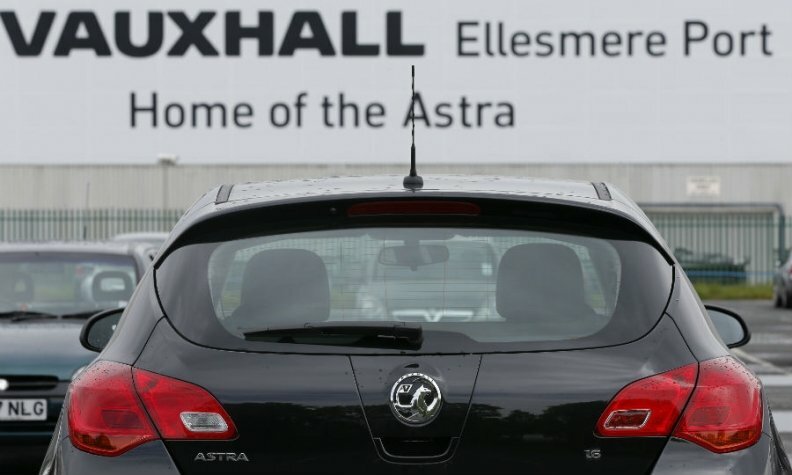 LONDON -- Workers at Vauxhall's factory in Ellesmere, England, agreed to a pay deal with parent PSA Group, as a dispute with PSA's Opel workers in Germany continues. Workers at the plant, which builds the Astra compact car, voted in favor of a deal that will give them a lump sum of 750 pounds ($1,046) and a 1.5 percent pay rise in January 2019, mirroring a deal reached at the company's van plant in Luton, England. "Our continued focus is to secure investment from PSA in new models at Ellesmere Port and guarantee the plant’s long-term future," said Len McCluskey, general secretary of Unite, Britain's biggest trade union. The deal will also see the amount of hours banked by workers reduced as PSA, which last year acquired Opel and its British sister brand Vauxhall, tries to restructure the company and return it to profitability. In Germany, Opel workers have protested against PSA's plans to rein in wages in return for new production investments including a company demand that 19,000 German workers give up a 4.3 percent pay increase.